The TNPSC (Tamil Nadu Public Service Commission) is released Answer Key for Group 2 Exams. The candidates applied for TNPSC Group 2 Exams can now download their TNPSC Group 2 Prelims Answer Key in the official website. The TNPSC Group 2 Exam is Conducted on November 11th 2018. The TNPSC Board Releases CCSE 2 Prelims Answer Key 2018 for the convenience of Applicants because results declaration may take more time. So the applicants check the TNPSC Group 2 Answer Key and get some confirmation that they are qualified or not if they are qualified in TNPSC Group 2 Exam 2018 then they can prepare for further process. The total number of vacancies for TNPSC Group 2 Exam 2018 is 1199 Vacancies. 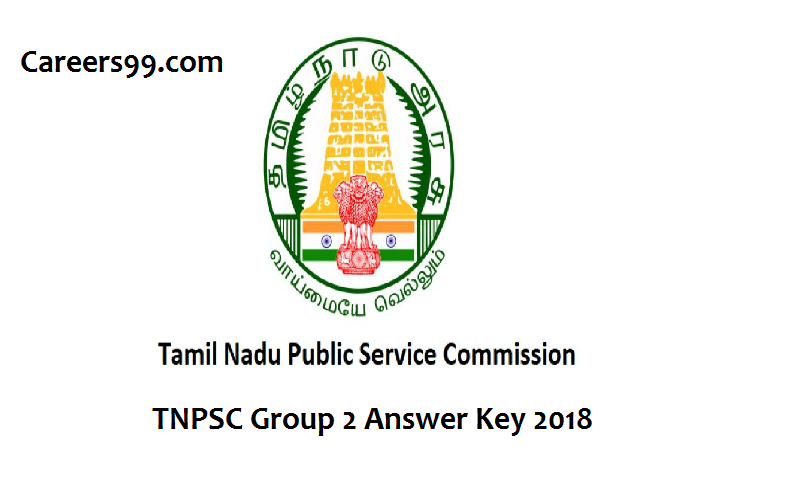 The TNPSC Group 2 Answer Key is now if you have any complaints with Answer Key then you can complaint by using links given in official website.